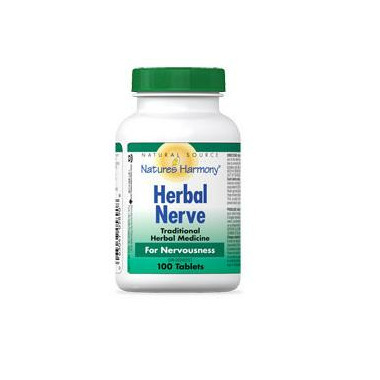 Nature’s Harmony® Herbal Nerve contains valerian root extract, skullcap herb and hops fruit. Very good value, very effective. Great product. My husband and I swear by this little pill to put us to sleep when anxiety keeps us awake at night. There are no side effects the next morning.